If you or a loved one was injured in a Michigan car accident, you have three years to file a lawsuit against the at-fault driver for the injuries you sustained from the date of the crash. MCL 600.5805(10) goes over this in more detail. “Statute of limitations” is what is known as a three year time period for people to file a lawsuit. 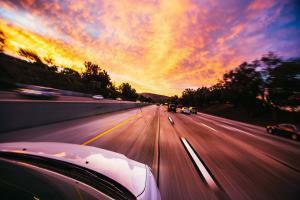 Michigan car accident statute of limitations applies to wrongful death & bodily injury claims. Exceptions to this rule can occur if the party injured in the car accident is mentally disabled or a child. In most scenarios, the statute of limitations to file a Michigan car accident lawsuit is three years from the date of the collision. Depending on the insurance policy, the Michigan car accident lawsuit claim time limit for underinsured motorist claims as well as uninsured motorist claims can be shorter or longer than three years, depending on the actual language in the insurance policy. How long do I have to file a Michigan Car Accident Lawsuit? You will have three years from the date of the accident to file a Michigan car accident lawsuit. If the person filing the claim was injured in the auto accident, then the lawsuit would be a personal injury case. If someone involved in the accident died as a result of the accident, then the case would be a wrongful death lawsuit. In both instances, the statute of limitations for filing a claim in the state of Michigan is three years. The term statute of limitations refers to the amount of time that a person has to file a case within a court system. If you are involved in a Michigan auto accident, you may wish to file an injury claim or lawsuit against the driver who was at fault in the accident. It is important to note that this type of claim differs from the process of filing a car insurance claim for the accident with your insurance company. Rather, this type of claim is filed with the court in the form of a lawsuit. A Michigan auto accident lawyer can help you file a Michigan car accident claim. When it comes to the timeframe established by the statute of limitations for personal injury cases and wrongful death cases, there is one key difference. This is that in a personal injury case, the statute of limitations commences on the day of the accident, whereas in a wrongful death lawsuit, the statute of limitations begins on the date of the death of the person involved. This means that if the person involved died on a later date than that of the accident itself, then the statute of limitations will not be the date of the actual accident itself. You may wish to file a claim with the court related to your auto accident. If so, you must do so in a timely manner. Your case must be filed prior to the three-year deadline imposed by Michigan car accident statute of limitations. If you do not file your case in a timely manner that falls within the statute of limitations set by the state of Michigan, it will likely be dismissed from the court. The only exception that would prevent dismissal is the highly unlikely event that a rare exception applies to your case and can, therefore, extend the deadline of the statute of limitations. Michigan car accident lawsuit claim time limits may seem confusing. A Michigan auto accident lawyer at Elia & Ponto can help guide you through filing a claim. Because of this, it is important that you consider consulting with a Michigan auto accident attorney as soon as possible after being in an auto accident. While you may decide that you wish to rely solely on the outcome of the insurance claim process, consulting with an attorney can help provide you with guidance as far as whether or not you may wish to eventually file a lawsuit at a later date. The Michigan car accident statute of limitations can be a tricky concept to understand. This consultation will also help you to be aware of the timeline in which you would need to file so as to avoid having your case dismissed due to the three-year statute of limitations imposed by the state of Michigan. Another important statute of limitations that you should keep in mind is the statute of limitations for filing a lawsuit against your auto insurance company for no-fault insurance benefits. The statute of limitations for this type of lawsuit in the state of Michigan is one year after the date the accident occurred. This type of lawsuit could help you to obtain no-fault insurance benefits if your claim is denied by your auto insurance company. The Michigan car accident lawsuit claim time limit may be hard for individuals to understand if they have not spoken to a lawyer. If you are having issues obtaining your benefits from your insurance company, or you have been denied your no-fault insurance benefits, an auto accident attorney can provide you with advice about what steps you need to take and the timeframe in which you need to take them. Another benefit to consulting with a Michigan auto accident attorney, even if you initially only intend to rely on the outcome of the insurance claim, is that your attorney may be able to provide you with information that will give you leverage within the settlement talks in which you will be involved. This may help you to obtain a more favorable settlement outcome. Because of this, you could benefit from consulting with an auto accident attorney regardless of whether or not you decide to proceed with filing a lawsuit against the at-fault driver. You would also be able to discuss the possibility of needing your Michigan auto accident attorney’s assistance with filing a suit for no-fault insurance benefits against your insurance company. The accident occurred in another state. The driver at fault was not a resident of the state of Michigan and was driving a vehicle that was not registered in the state of Michigan. The accident caused permanent and severe disfigurement, serious impairment of a bodily function, or resulted in the death of someone involved. The at-fault driver was 50 percent or more at fault, the damage to the vehicle was not covered by the insurance of the individual bringing about the lawsuit, and the lawsuit itself is for $1,000 or less in damage to the vehicle. If your auto accident case meets one of these exceptions, you are eligible to file a Michigan auto accident lawsuit against the at-fault driver. It is imperative that if you wish to file a case, you do so within the statute of limitations so as to avoid having your case dismissed. Consulting with an attorney can help you understand whether or not you have a valid case, what steps you need to take if you do have a case, and the timeframe in which you need to take those steps. The Michigan auto accident attorneys at Elia and Ponto proudly serve the Detroit, Michigan area, and are available to offer you counsel regarding filing a lawsuit related to your auto accident. The Law Firm of Elia and Ponto specializes in personal injury law and in laws related to auto accident injuries. One of the attorneys will review your case for any exceptions and will help to ensure that if you choose to file a claim against the driver at-fault, that you are able to do so in a timeframe that falls within the statute of limitations. Consulting with Elia and Ponto early on will provide you with the knowledge you need to make the right decision about filing an auto accident lawsuit in a timely manner. This means that you are less likely to have your case dismissed due to restrictions such as falling outside of the timeframe set by the statute of limitations.